Search for a Luxury Property, represented by the finest in the business! 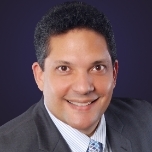 Joel D Valencia utilizes the latest technologies, market research and business strategies to exceed your expectations. More importantly, we listen and that means we find solutions that are tailored to you. Click Here to Search All Area Properties. Click Here to Search for an Exclusive Luxury Property.